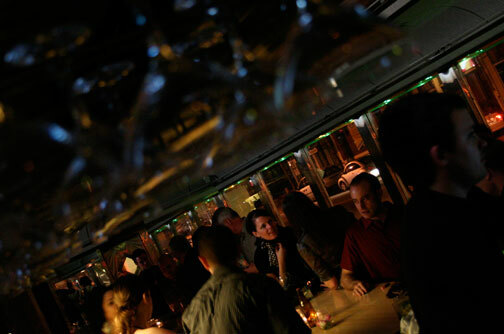 The main bar at Vinyl is hopping on a Friday night in April 2007. Owners Roula David and Michael Spalding's uber-hip venture in Over-the-Rhine, however, may have been an idea before its time. Vinyl has since gone out of business.